The Grid for athletes and people of all types - from long distance runners and endurance athletes to Crossfit competitors and major league sports players to soccer moms and yoga enthusiasts. 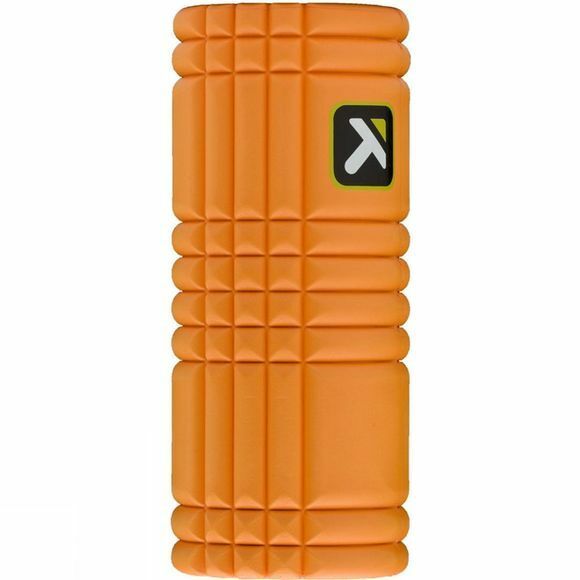 Foam rolling is essential for breaking down stubborn knots of muscle and aiding recovery, but after a while you'll notice a traditional foam roller can't deal with everything. The Grid has different-sized zones that mimic a masseuse's fingers and is great for working on trouble spots. The matrix design of the zones on The Grid allow for a more targeted massage; certain areas mimic forearm and palm massage while other areas work like fingers and thumbs. It can also be incorporated into your core-strengthening workout. It is made of the EVA foam traditionally used in running shoes, so it is much more durable than most rollers and can withstand over 500lbs of weight. Constructed with less foam than traditional foam rollers. Designed to withstand constant, heavy, and repeated use without breaking down.